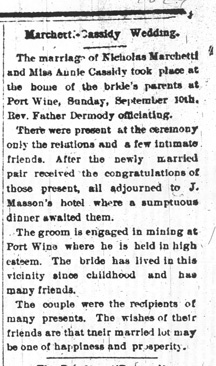 In September, 1899, ten years after arriving in Port Wine, Nic married Annie Cassidy, one of the seven red-haired daughters of Felix Cassidy, a Sierra County pioneer originally from Eniskillen in Northern Ireland, and his wife Catherine Macklin Cassidy. Annie is in the top row, second from left. 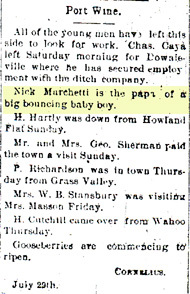 A year later in 1900, their first son, John, was born. Annie's role was not noted in the Mountain Messanger article. 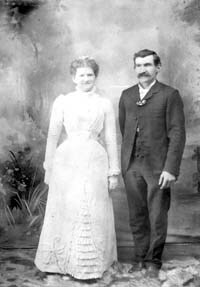 They would have two more sons: Frank in 1902 and Charles in 1905.